Pardon this post’s provocative title but now that I’ve got your attention, let’s talk about woodcocks. 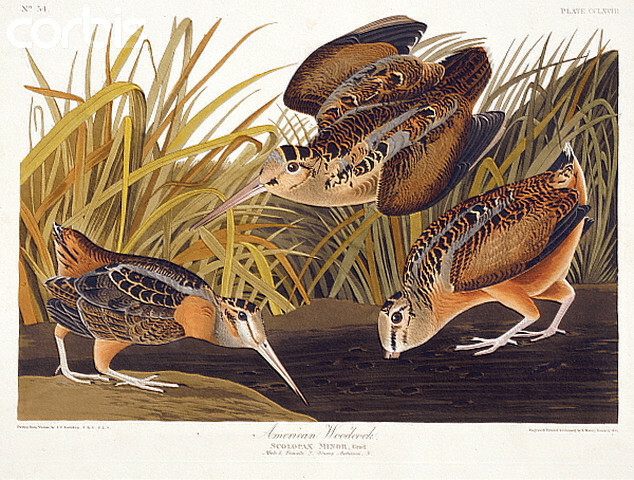 That strangest of shorebirds, Scolopax minor has long been a nemesis of mine. Every spring, I’ve endeavored to enjoy its daffy dusk ritual or hear its plaintive peent but every spring I’ve failed. 2008 seemed like the year that would break my dry spell yet, despite my vows, the closest I came was a Wilson’s Snipe! Now spring has sprung anew. So have local reports of unmissable woodcocks. So, like Charlie Brown running with irresistible optimism at Lucy’s football, I made an honest attempt to spy this strangest of shorebirds. Actually, I hoped that my alternate title for the post might be Saw-whet Signs of Spring since my mission brought me to Owl Woods at Braddock Bay. Saw-whet Owls have been a constant presence in the woods lately along with Great Horned and Long-eared. Sad to say, Owl Woods were inexplicably absent owls or at least the kind I might get a look at. Perhaps my eagerness betrayed me. I was so excited to see a saw-whet, so intense in examining every bough of every conifer that I may very well have looked right through a few. Saw-whets have also been nemesis birds of mine and my unseemly eagerness to bag two in one night seemed to render me blind to owls. In an attempt to damp down my desperation, I took note of the other birds winding down their day. A loud chorus of chickadees filled the pines while raucous flocks of grackles took to evening roosts. Song Sparrows, Mourning Doves, and American Robins were the most common, pretty much the only birds in the bush. Mammals were much more interesting to watch with appearances by both Red Fox and Red Squirrel. Of owls, though, there was no sign. It was also looking like another night without woodcocks. Still, I was determined to ride this one to its inevitable end. There I stood in a large clearing of mud and short grass ticking off the minutes as darkness fell. As the shadows deepened, I had to wonder where the limits of crepuscular ended and full-blown nocturnal began. Then I heard a peent, a peculiar nasal blast of a call. That peent was followed by another, then many many more. That I was surrounded by woodcocks could not be disputed. The kind of bird watcher I am, however, would only be satisfied by a sighting. Luckily, visual contact didn’t take long. The first blur of a bird flying across the field was barely perceptible in the limited light. The amorous couple that literally buzzed by my head could not be missed! Eventually it all happened: the persistent peents, the ardent pursuits, and that high-altitude twittering that sets woodcocks apart from others of their ilk. Honestly, they acted a lot more like bats than shorebirds. But there they were, American Woodcocks in all their alien glory! Observing the woodcock’s inimitable spring display was sensational. I really wish I could have shared this experience with someone else, especially in light of the fact that when it was over, I was alone in the woods after sundown. Yikes! Bronx boys don’t exactly feel at home in the middle of a dark forest no matter who is with us. I high-tailed it out of there, still hoping for an owl appearance. The saw-whets stayed silent but woodcocks were still whinnying overhead as I reached my car. Happy spring! If you have stirring tales of birding during this year’s March equinox, send the link or info to the phenologically-minded folks at Birdstack for the Birds of the Equinox: March 2009 compilation. I hope to catch some mating flights this spring as well. …loved your story! It was fun to read. Congrats on the sighting…I’m still in the pursuit phase! My first Woodcock was one I nearly stepped on that exploded like a feathered landmine. One of these days I’d like to get a look that isn’t flying away.